Grants are issued for accomplishing specific goals, and funding your college education is one of them. Very few of the grants issued each year are directed to individuals- most of them are given to institutions and communities. As you wander through the maze of available grant programs, look for individual student grants that you can apply for directly. College grants are like scholarships, providing financial aid that students are not required to repay. Tuition, housing, and other college costs are paid for by grants. Most often, grants are administered by participating institutions of higher education (IHE), so your funds are collected from the financial aid office at your school. Federal and State Governments provide the most funding for student grant programs, which are typically awarded, based on several factors, including; economic need, ability to pay, student status and academic achievements. Though your level of need provides a large piece of your financial aid picture, grants are not awarded exclusively based on income. In fact, merit-based grants are distinguished for their focus on performance, rather than need. Any way you slice it, grants are a great source of college financing, since the money you receive is essentially a gift. Employ proven strategies to illuminate every grant opportunity available to you, and search with an eye toward grants that are aimed at your unique qualities. Your most valuable resource for financial aid information is your high school guidance counselor. Informational meetings about specific colleges and general financial aid are administered through your guidance office, and can help you find the right direction for your financial aid search. Your critical first step for applying for Federal financial aid is to complete and submit the Free Application for Federal Student Aid (FAFSA). The standardized FAFSA application determines your need for financial assistance during college. Student income, parental income and assets, and family size are used to calculate your Expected Family Contribution (EFC). Your EFC is then used to create an individual Student Aid Report (SAR) that spells out your college financial aid needs. EFC defines the amount of money you and your family can afford to pay for college each year. When you fill out the FAFSA, you’ll do so as a “dependent” student, including your parents’ financial profile on the application; or as an “independent” student whose parents’ financials are not considered. Independent students generally display a greater financial need, but your status cannot be arbitrarily chosen for maximum gain – it relates to whether or not your parents claim you as a dependent on their income tax return. Once your personal Student Aid Report is compiled, it is sent directly to the financial aid offices at the colleges you select. With your SAR in place, the professionals at your school become your financial aid advocates, considering you for scholarships, grants and loans for which you qualify. Your FAFSA automatically qualifies you to be considered for the two largest Federal grant programs: Pell Grants and Federal Supplemental Education Opportunity Grants. Pell Grants provide need-based grants for disadvantaged undergraduates. Eligibility reflects four specific criteria; financial need, costs to attend school, status as a full-time or part-time student, and plans to attend school for a full academic year or less. The Maximum Pell award changes each year, and currently stands at $5500 annually. Federal Supplemental Education Opportunity Grants (FSEOG) are reserved for applicants with the greatest financial need. If your EFC is zero, you are considered first for FSEOG grants. The timing of your application becomes important here, because the funds are dispersed in a prioritize progression until there is no money left. If you are not in the system when your number is called, you lose your chance to benefit from the program. For greatest access to Federal funds, follow FAFSA filing deadlines precisely. Other Federal grant programs target specific recipients like veterans, and aspiring teachers. The U.S. Department of Education provides up to date information about specific grants here. Some state agenciesrequire only that your FAFSA be filed, to be considered for grants. Other grants require separate applications. State granting agencies are not as deeply funded as federal programs, so qualifications are often merit and need-based. GPA and other performance metrics are incorporated into loan eligibility to reward exceptional academic achievement among needy candidates. Requirements vary across states, so consult with your state’s official granting agencies for specific application guidelines and eligibility requirements. For example, Minnesota’s Department of Higher Education provides this document to help you navigate the state’s financial aid offerings. Wisconsin Higher Education Aids Board lists the following state sponsored grants: Wisconsin Higher Education Grant (WHEG), Wisconsin Tuition Grant (WTG), Talent Incentive Program (TIP), Indian Student Assistance Grant, Hearing and Visually Handicapped Student Grant. As you can see, eligibility for state grants considers a wide variety of individual characteristics. Private grants are typically funded by corporations and foundations. In many ways they are similar to scholarships. In fact, most private grants are merit-based and require that you meet GPA thresholds or other academic requirements in order to apply. 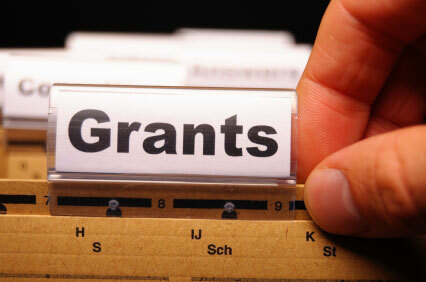 Private grants are sometimes memorial awards that are funded by estates and trusts. As such, grantors can establish very specific requirements for award recipients. Online searches yield grants targeting specific vocations, or applied to education at specific colleges. Ethnicity, gender, performance, need, location, and a host of other variables are used in combination to qualify you for specifically target grants that reflect the values of the funding source. Vocational grants are issued to students studying particular subjects. Companies foster professionalism and high industry standards by educating students who plan to work in specific industry roles. Manufacturers, for example, might offer engineering school grants. Search for scholarships and grants among corporations that employ graduates in your field. Your college financial aid office is a clearinghouse of information relating to these narrowly defined grant opportunities, but you must call attention to your qualifying features. No one knows you better than yourself, so if your background or aspirations might qualify you for unique grants, it is up to you to place yourself in contention for the funds. Remember, some grants actually go unclaimed for lack of applicants.